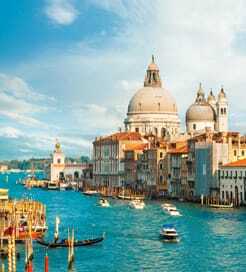 There is no shortage of options to choose from when it comes to selecting a ferry from Pontine Islands to Italy. There are 4 ferry companies with a combined offering of 12 Ferry Routes connecting Ponza to Casamicciola, Ventotene to Casamicciola, Naples, Ponza, Terracina & Formia, Ponza to Casamicciola, Naples, Ventotene, Terracina, Formia, San Felice Circeo & Anzio, Ventotene to Casamicciola, Naples, Ponza, Terracina & Formia, Ponza to Casamicciola, Naples, Ventotene, Terracina, Formia, San Felice Circeo & Anzio, Ventotene to Casamicciola, Naples, Ponza, Terracina & Formia, Ponza to Casamicciola, Naples, Ventotene, Terracina, Formia, San Felice Circeo & Anzio, Ventotene to Casamicciola, Naples, Ponza, Terracina & Formia, Ponza to Casamicciola, Naples, Ventotene, Terracina, Formia, San Felice Circeo & Anzio, Ventotene to Casamicciola, Naples, Ponza, Terracina & Formia & Ponza to Casamicciola, Naples, Ventotene, Terracina, Formia, San Felice Circeo & Anzio. 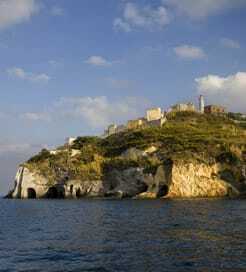 The fastest route between Pontine Islands and Italy is Ventotene to Casamicciola with a crossing duration of around 45 minutes. With so many routes on offer we make it simple by comparing all similar routes in one search so you can quickly find what you are looking for. The Pontines are an Italian archipelago comprising Gavi, Zannone, Palmorola, Ventotene, Santo Stefano and Ponza in the Tyrrhenian Sea to the northwest of Naples. Although small, these islands offer a lot to all types of holidaymaker. Several archaeological sites are scattered across Venetone, and Ponza, the most visited and popular, boasts superb swimming, snorkelling and sailing conditions. As you would expect from Mediterranean islands, the Pontines have some beautiful beaches, too, both sandy and rocky. Also, with numerous pretty harbours lining the coast, a picturesque backdrop lies around every corner. The Pontines’ main ports are in Ponza and Ventotene and, as popular day trip spots, there are frequent ferry crossings back to the Italian mainland to choose from. You can also sail within the archipelago, with all routes operated by well-established ferry companies.